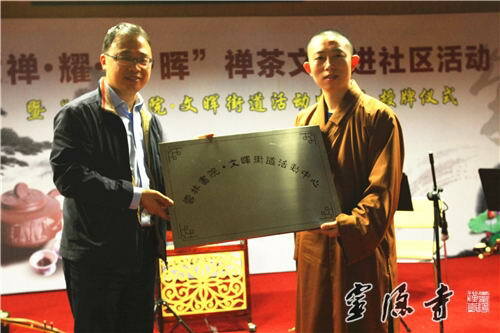 On 30th April, 2014, the inaugurating ceremony of the newly opened Wenhui Community Branch of Yunlin Library of Lingyin Temple, took place in the Life and Cultural Experience Centre of the Wenhui Community, Xiacheng District, Hangzhou. 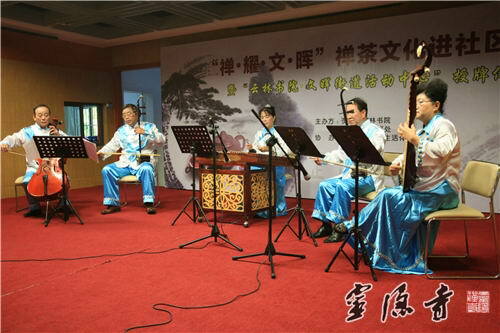 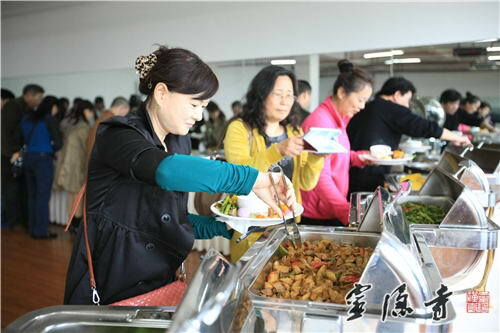 The opening of the Wenhui Community Branch is the fourth Lingyin-founded center for traditional Chinese culture. 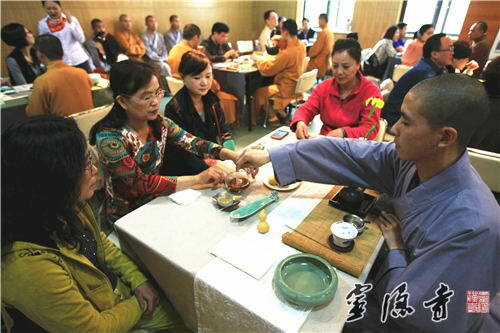 The Wenhui Community Branch of the Yunlin Academy, built after Qingbo Community Branch, Gongren Road Community Branch and Sandun Community Branch, offers another community base of Lingyin Temple for its enterprise of disseminating traditional Chinese culture. 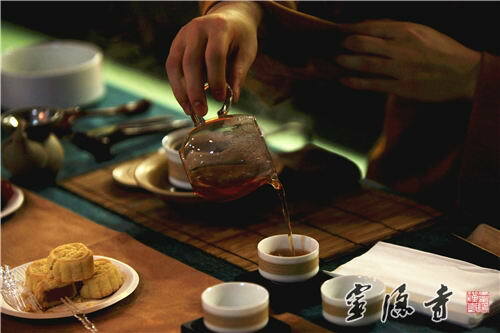 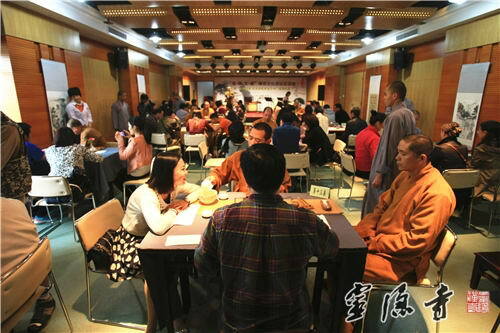 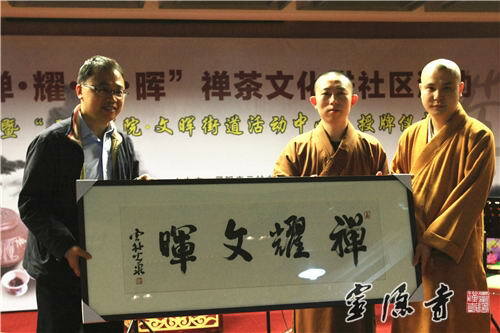 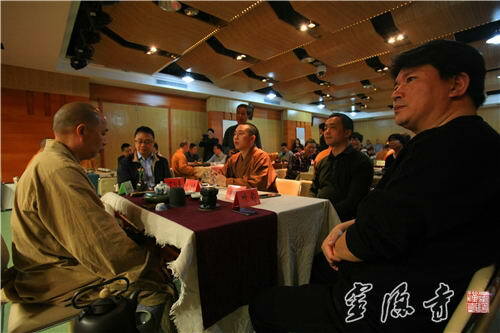 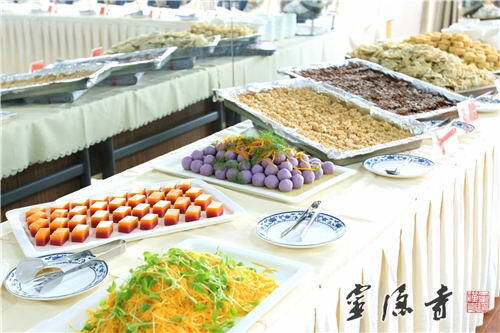 In addition to the promotion of traditional Chinese culture, environmental protection and vegetarianism, the Branch aims to organize cultural events such as experiential tea ceremony, talks on Chan Buddhism as well as traditional Chinese painting and calligraphy exhibitions, so as to enrich the cultural life of community residents and to spread Chinese cultural traditions, and thereby contribute to the construction of a harmonious, sophisticated Hangzhou.